Glas Basix Short Fills are now available at I Aint No Saint! Glas Basix Short Fills are now available in the Studio and online! You ready that right : Glas Basix Short Fills have arrived here at I Ain’t No Saint! This extremely popular, Award winning eJuice is now available in the I Aint No Saint Studio or online here at I Aint No Smoker. There are 6 flavours in the Glas Basix Short Fills range. Whether you like Fruity, Dessert or Tobacco flavoured eJuice you are bound to find a flavour you like in this delicious range. 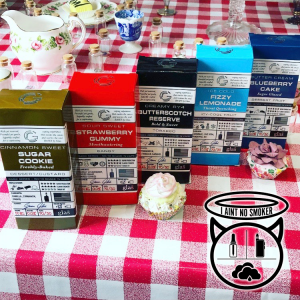 For more information on the Glas Basix Short Fills flavours, what a short fill is and more check out this post on I Aint No Smoker. Bottles are £15 each (not including nicotine shot). Why not come in to the Studio now to pick yourself up a bottle? Or if you can’t get in to the Studio, order your favourite flavour online here. You can choose to get it delivered straight to your door or click and collect in the I Aint No Saint Studio!